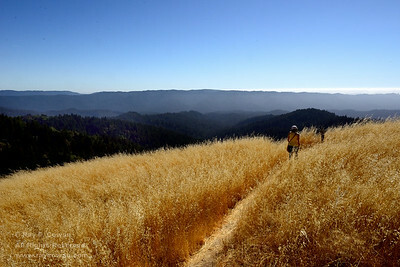 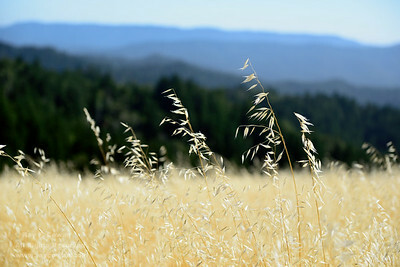 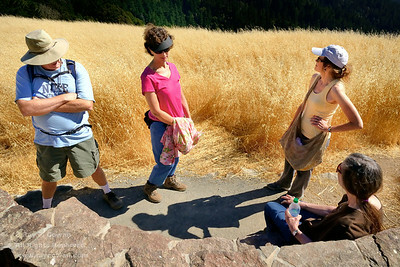 Friends and I hiked in Long Ridge OSP on Sunday, August 10, 2014. 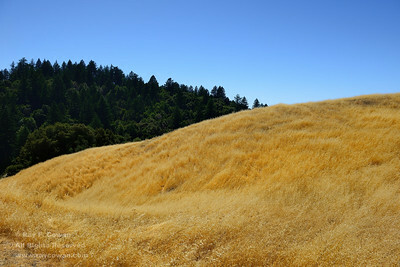 Long Ridge parallels Skyline Drive on the San Francisco peninsula. 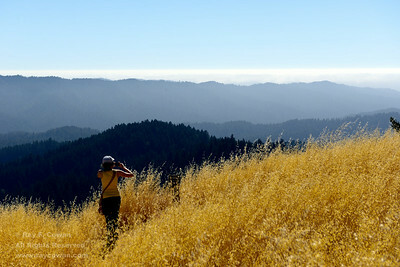 There were superb views to the west toward the Pacific. 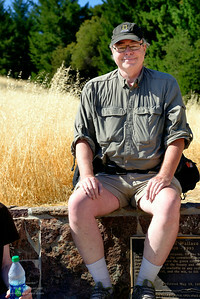 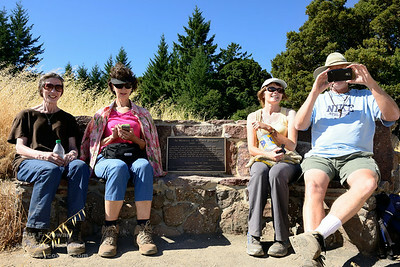 We reached Stegner Bench, a memorial to Wallace Stegner, well-known environmental author and Stanford professor. 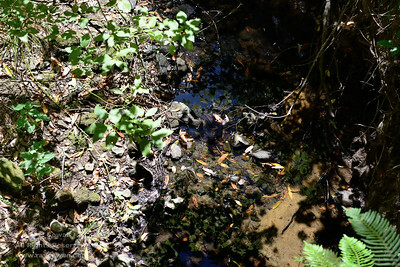 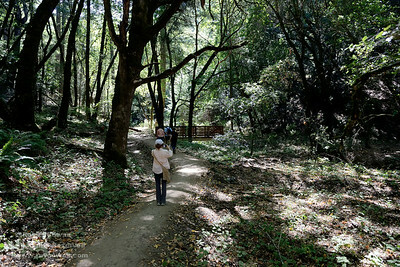 Lots of trees, trails, and even a creek that had a little water in it in spite of California's 3rd year in a row of drought. 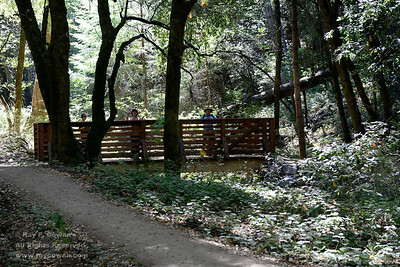 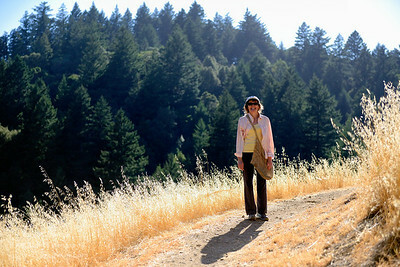 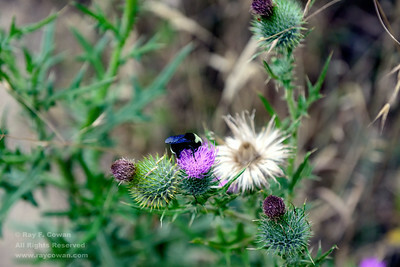 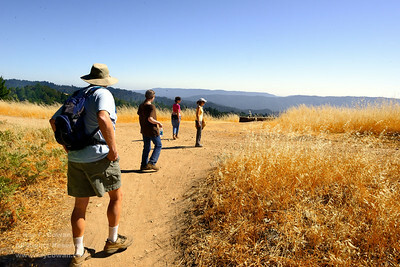 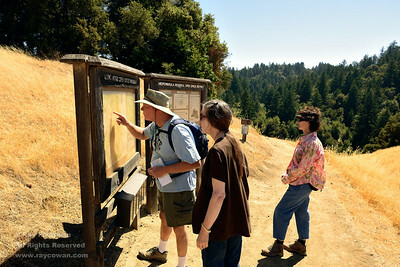 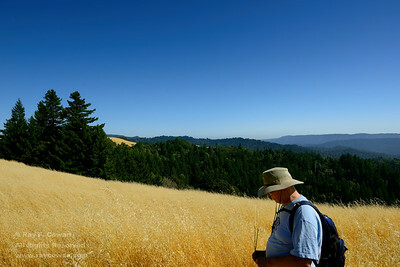 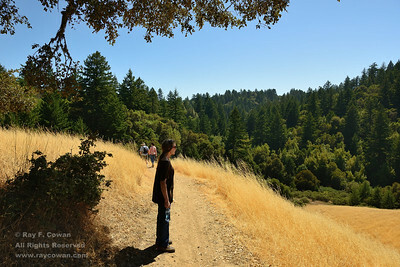 Group hike to Stegner Bench in Long Ridge Open Space Preserve. 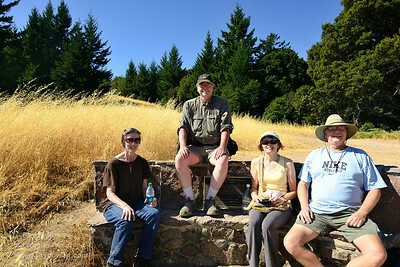 Group hike in Long Ridge Open Space Preserve on Peters Creek and Long Ridge Trails, going by the Wallace Stegner memorial bench. 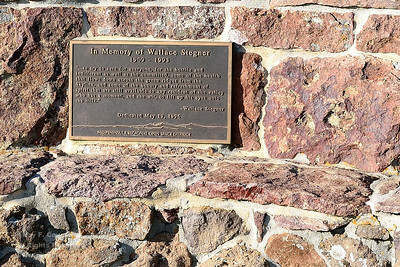 Stegner was a well-known environmental author and Stanford University professor.